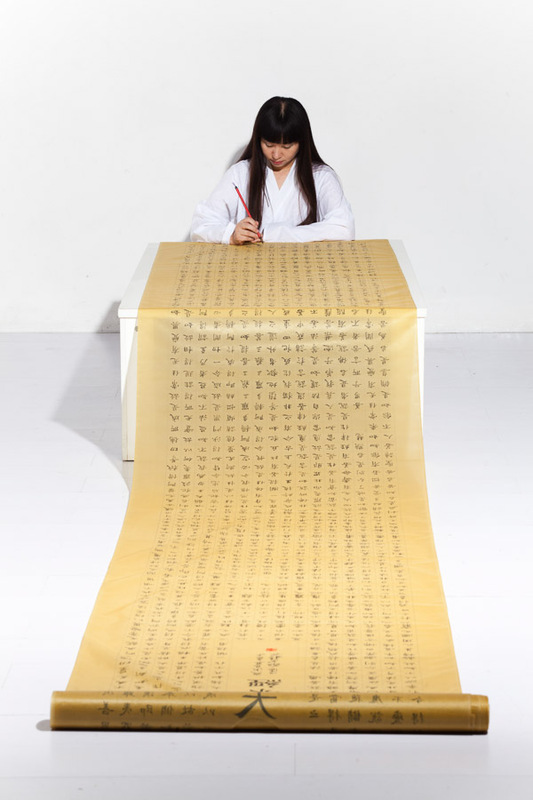 In January 2010 Li Xinmo enacted her performance titled "Seven Days". She cut herself off from the outside world and shut herself in an empty room deprived of any modern means of communication. 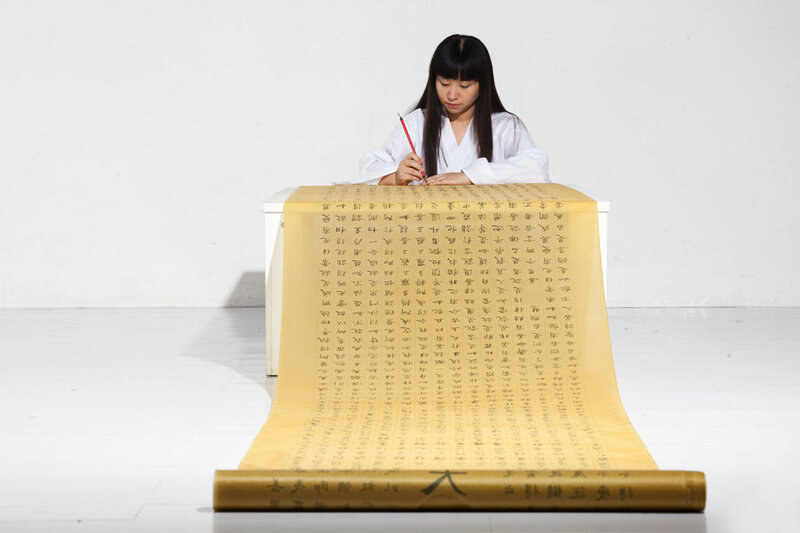 For seven days, from 6 am to 12 pm she was totally absorbed in copying by hand the "Nirvana Sutra", and each day finished 5 meters of silk. These scripts meant time, existence and Buddhist thoughts. In the seven days' seclusion from trivial matters in life and social interactions, nothing counted but those scripts copied in peace, as they captured everything that followed the passage of time.